Smart Bracelet Lets Doctors Know If They're Washing Their Hands Correctly | OhGizmo! Hygiene is important, but it becomes an even bigger deal when you’re in the healthcare industry. Even then, you have to remember that doctors are human, too, and they sometimes fail to wash their hands as thoroughly as they should, especially when they’re in a rush. That’s where the IntelligentM bracelet comes in. It’s a smart bracelet that vibrates when its wearer has washed his or her hands sufficiently. 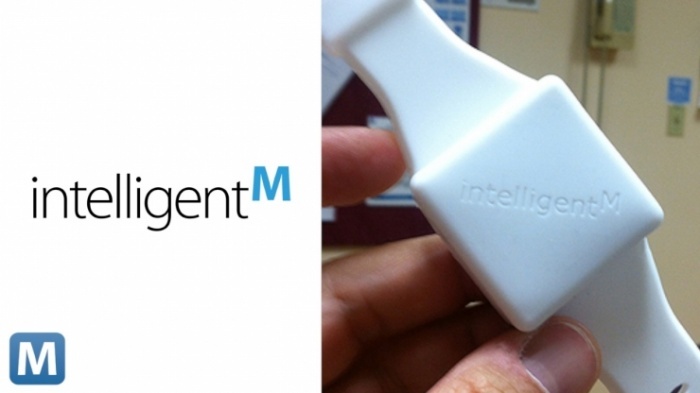 The IntelligentM bracelet works by reading RFID tags that have been installed at hand-washing stations. It keeps track of how long the wearer washes hands. It vibrates once when the duration is long enough; if it’s too short (signaling insufficient washing), it buzzes three times instead. RFID tags are also placed outside the rooms of patients to remind healthcare personnel to keep their hands clean. The bracelet can be connected via microUSB to transfer its wearer’s hand-washing data, so his hygiene log is uploaded for evaluation. Three hospitals in Florida are already using the device.